Golden Oak Montessori School of Hayward seeks business, academic and civic leaders who are passionate about the education and development of children in the Hayward school district. Golden Oak Montessori School’s goal is to educate children to be active, aware citizens with the skills and knowledge to participate meaningfully in the diverse and challenging new century. A trained educator, with expertise in the Montessori method preferred, who can ensure the board’s deliberations and decisions take into consideration the overall academic needs of the school, and who will keep the educational philosophy of Dr. Maria Montessori as a core tenet in governance efforts. Read a detailed description of desired skills. Individual who can oversee financial operations and the annual audit. Read a detailed description of desired skills. Well-connected liaison to potential partners among elected or appointed government officials, foundations, service agencies, non-profits, churches and family networks. Small business owner who has addressed the challenges of growth while remaining financially stable. Creative individuals who can support the school’s efforts to maintain operational excellence. Knowledgeable guide to identifying and securing donated space for school expansion. Professional who can support the school's branding and marketing efforts, or who can garner publicity in print or other media. Attorney who can oversee compliance with organizational standards and regulations, and advise on employment law, intellectual property, contracts, landlord-lease, and other legal matters that arise. The Board of Directors is the governing authority of Golden Oak Montessori School of Hayward, a nonprofit organization. 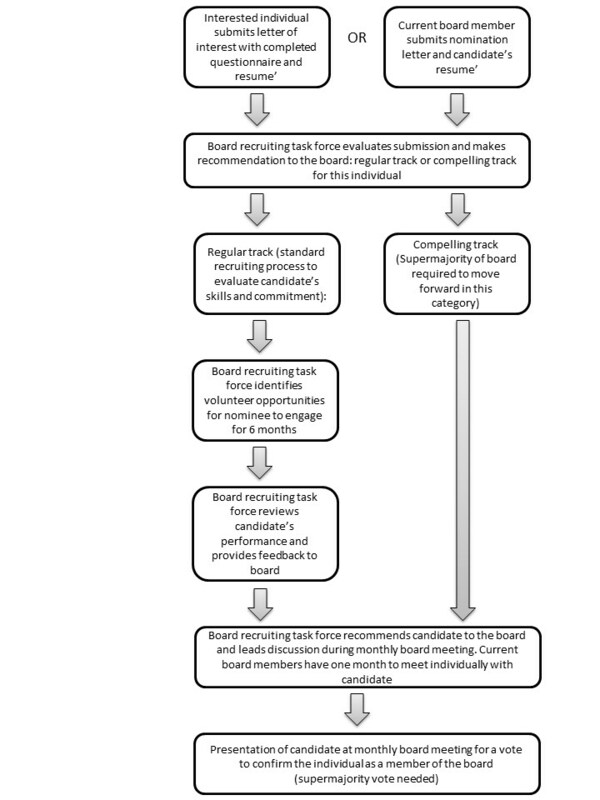 As a member of the Board, a Director acts in a position of trust for the community and is responsible for the effective governance of the organization. Directors are nominated by the Board Recruitment task force and elected by the board at a monthly meeting. Directors serve for a three-year term. Commitment to the mission and work of the organization and willingness to advocate for Golden Oak Montessori through direct engagement with members of the community. Be supportive of charter schools as a method of educational choice for parents and keep abreast of charter school issues. Knowledge and skills in one or more areas of Board governance: Montessori principles, education, facilities, property development, legal, finance, marketing/promotion, fundraising. Willingness to serve on at least one committee and actively participate; attendance at Board meetings each month, as well as at least one Board retreat, and periodic committee conference calls or meetings. Able to commit an estimated ten hours per month, (includes Board preparation, meeting and committee meeting time). Stay informed on the programs and services provided by Golden Oak Montessori and publicly support them. Prepare for and participate in the discussions and the deliberations of the Board. Lead by example with Golden Oak’s fundraising efforts. Make monetary contributions that are appropriate to your personal financial situation. Advocate for Golden Oak Montessori by being prepared to explain to school’s Mission and accomplishments to members of the Community. Disclose and conflicts of interest and remove any individual benefit for themselves or their family from their decisions on policy and their expressed views during Board and WG meetings. Keep board documents and closed session discussions confidential. Board member should not speak for Board or School without prior authorization of Board Chair(s) or HOS. Governing Golden Oak Montessori School in accordance with the school's bylaws. Promote Golden Oak's mission and help grow awareness and prospective student population through community networking and advocacy. Demonstrate leadership and commitment to organizational values. Be aware of and disclose any personal and/or professional conflict of interest. Assessing GO goals, objectives, academic achievements, student progress, financial status, and any need for redirection. Evaluating school and student performance. The Board of Directors is the responsible agent for the accountability requirements established by the California Charter Schools Act of 1992 and the school’s Charter. As a part of this responsibility, the board submits an annual report to the HUSD, which is a yearly programmatic performance review, including an assessment of the school’s educational performance and its administrative and financial fitness. This report also assesses how well the school is fulfilling the programs outlined in this charter, specifically regarding student progress. Receiving Program Status reports from, and providing recommendations to, the Golden Oak Montessori teachers and staff. Ensuring that the Montessori method is followed in all aspects of the school, including holding the Head of School accountable for adherence by the school to a Montessori curriculum, Montessori student evaluation methods, teacher qualifications, and classrooms that offer a high-quality prepared environment according to standards of the American Montessori Society. The pleasure and satisfaction of helping inspire young children from all walks of life to a lifetime of learning and creative expression. The joys of new friendships among like-minded individuals. The fun and excitement of ensuring a Montessori education is available to children in the Hayward and surrounding areas. By email: Email us about your interest, embed your resume or job/work history into the email, and respond to this questionnaire﻿ in the body of your email. Send to goldenoakboard@gmail.com. NO ATTACHMENTS will be opened.